Please Note: Extra fees may apply if shipping outside Continental USA. Please contact us for details. Our Pillar shrines’ rustic details are carved into western red cedar, suitable for outdoor exposure. With yearly care, you can maintain the new wood appearance or let it age gracefully to a weathered silver cedar color. The resin statues are from the Joseph Studio Collection. Please allow at least four weeks for delivery. Please know that our actual delivery time can vary depending upon our workload. Our St. Francis of Assisi Pillar Shrine is still under development. Please check back later. Our Marian pillar shrine is suitable for even the smallest of gardens. 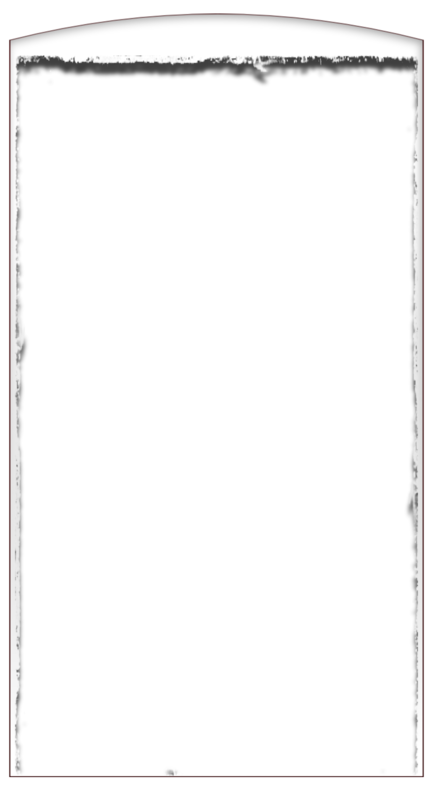 This shrine would look great incorporated into a deck rail or a wooden fence line. 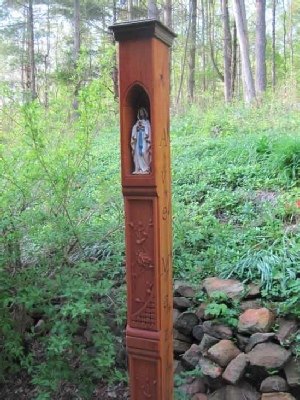 An elegant vining rose design is carved at the front and the text “Ave Maria” is caved on left and right sides of a 4x4x72 inch cedar post topped with a faux copper post cap. This Marian shrine comes with our selection of statue, which currently is a lovely 6 inch resin statue of Immaculate Heart of Mary from the Joseph Studio Collection. Our “Good Shepherd” shrine is quite impressive. A grape vine design is carved into a solid 6 inch wide by 3 inch deep cedar post capped with our hand beaten copper roof. The text “The Lord is my Shepherd” is carved into the left and right sides. The “Good Shepherd” resin statue is a lovely 6” statue from the Roman Inc Joseph Studio collection. The post is 96 inches tall for mounting into the ground. Cost includes shipping & handling.